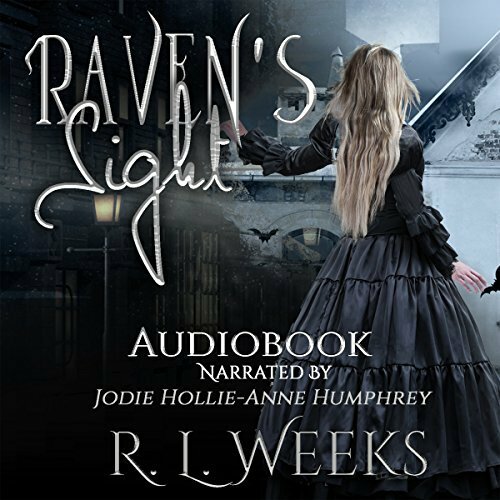 Award-winning author R. L. Weeks brings you Raven's Sight - a young adult Victorian paranormal mystery. Book one can be listened to as a standalone and as part of the series. However, when a ghost of a child comes to her for help, Raven finds herself in the gas-lit streets of London, on the trail of a female serial killer. As she tries to solve the string of murders, she realizes that the murders are almost identical to those from a case left unsolved years before she was born. In a race against time, Raven is thrown into a world she doesn't know. With her crush, Tom, now a ghost, her friend, Emmett, now a suspect, and an uncle who runs illicit groups and hates women, Raven will have to unravel the mysteries quickly before she becomes the next victim. Sometimes with a review the less said the better in order to avoid spoilers. But OMG! I did not see that ending coming. Raven's Sight is a brilliant, creepy and exciting story. I listened to this book in one sitting; I couldn't put it down. The narrator did an excellent job of performing this novel. For those few hours it took to listen to the novel I was completely immersed in its dark Victorian world where all the creepy paranormal happenings became very believable! Although billed as a Young Adult novel, Raven's Sight is a must read for anyone who likes historical fiction, murder mysteries or a good old ghost story. I loved it and can't wait to read the second book in the series.